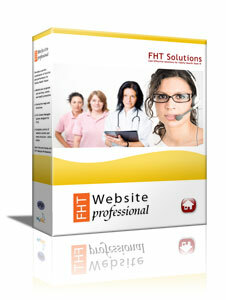 Our FHT website package is the best value you'll find anywhere. It is also incredibly powerful. FHT Website Professional is a premium, professionally presented, and highly functional FHT website system designed especially for your organization's needs. It has a completely modern, dynamic and functional public presence, with a sophisticated Team Portal system that allows you to maintain your website yourself - self-contained and self-managing. There is no nickle-and-diming with our package; no hidden fees or tiered pricing. We tried to include everything a Family Health Team might need in a website, and everything your community might expect.